"In weaving, tension is a good thing," she said. Laura makes her art look effortless. Her hands and feet all work in rhythm, interlacing threads with donated remnants of material or reeds cut from the weed, phragmites, that grow in abundance along the river. There is something soothing about the sound and the process of weaving to an onlooker like me. The natural fibers, earthy tones and random bits of thread feel healing and real. Standing in the office of Deborah's Legacy, I'm watching something beautiful be crafted out of things discarded and viewed as useless. The first seeds for the ministry of Deborah's Legacy were planted in the tender hearts of co-founders, Allison Huebner and Jill Vaughn. Allison and Jill drew from the example found in the Bible of the warrior Deborah, who used her strengths to bring glory to God. The ministry name also has deep meaning because of the loss of Allison's sister, Deb, who died as a result of her addiction to alcohol and drugs. In her research, Jill discovered a residential program called, 'Magdalene' a part of Thistle Farms. 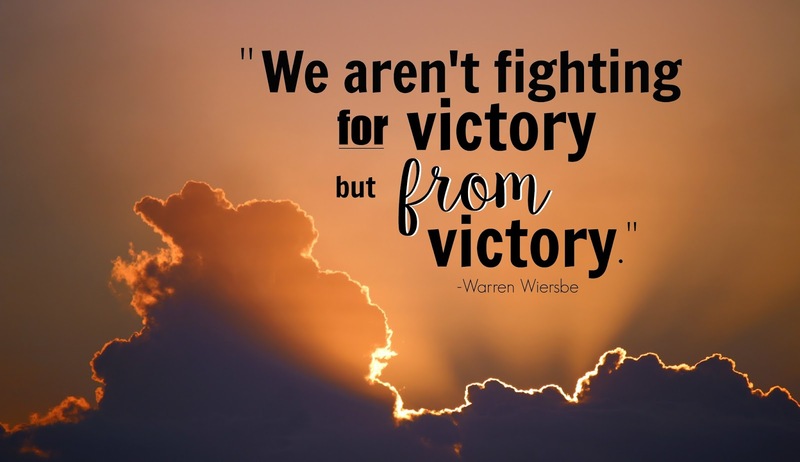 Deborah's Legacy was loosely patterned after this successful life restoring program. Now, Deborah's Legacy is beginning its 4th year as a residential program that provides secure housing as a haven from the social, psychological, and economic factors that drive women to desperate means for survival. Last year my heart got wrapped around these women and their stories. The work of recovery is hard, imperfect and beautiful. Sometimes it feels like I'm watching my own little girl navigate a winding path while learning to ride a bike for the first time. And when these women embrace the truth of faith? It's like they are riding with no hands! You can see the excitement and hope and a tiny bit of fear in their eyes. The wind of the Spirit and freedom whipping their hair while they are learning to balance it all, teetering, nearly out of control. There are falls and skinned hearts and a deeper healing. And the hardest work of all, learning to get up and try again. And again. But it's a beautiful thing when a woman begins to trust that they are loved for who they most deeply are and they embrace their unique, God-given strengths. They begin to move forward and build a new life. They begin to laugh and be thankful for the days. 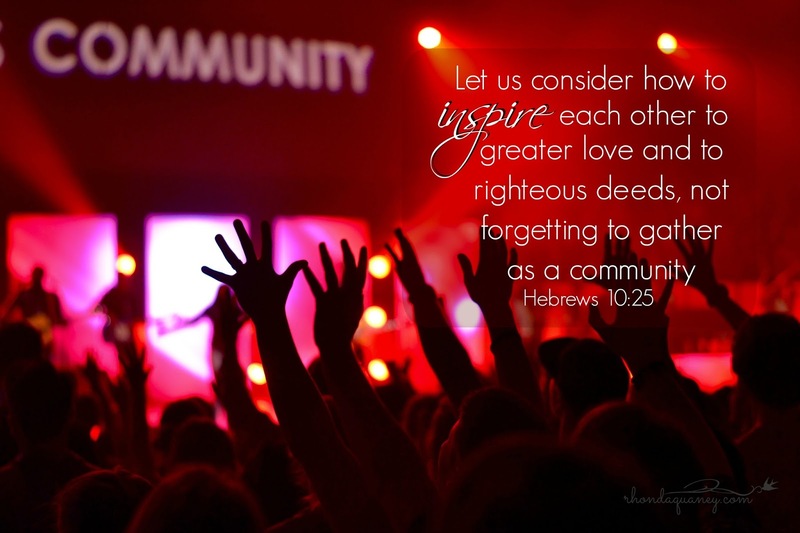 Ultimately one life changed can affect an entire community. This is such a key piece to what happens at Deborah's Legacy. The women live in community with other women and are challenged to hold each other accountable. Through various volunteers and experiences, the women have opportunities to broaden their healthy circle of friends. can also be the community that brings her home." 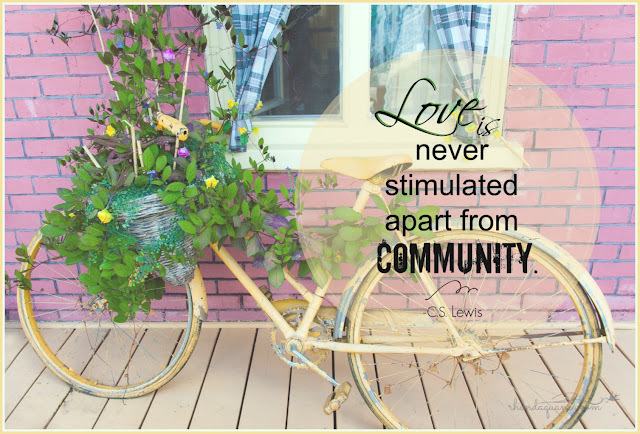 And for almost twenty years the Magdalene model has proven that community and love heals. What I love is that Deborah's Legacy holds out Jesus as the One true answer to every broken, shattered, thing in their life. 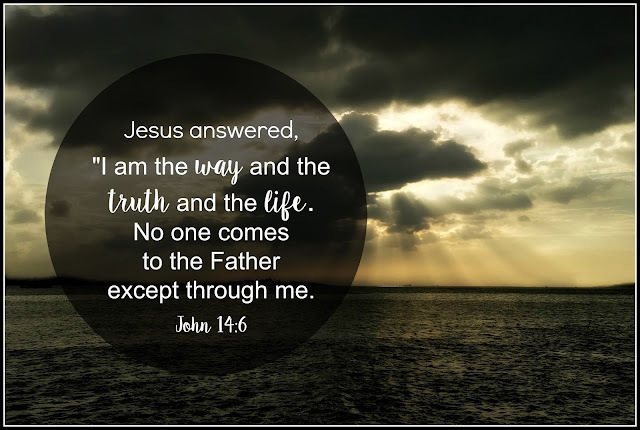 His love is what binds up broken hearts and brings the true, lasting, healing that so many try to fill with drugs, alcohol or another man's approval. The embrace of Jesus is the only one we need. The embrace of Jesus is all-inclusive. His love can penetrate any barrier. His healing can restitch any broken heart. 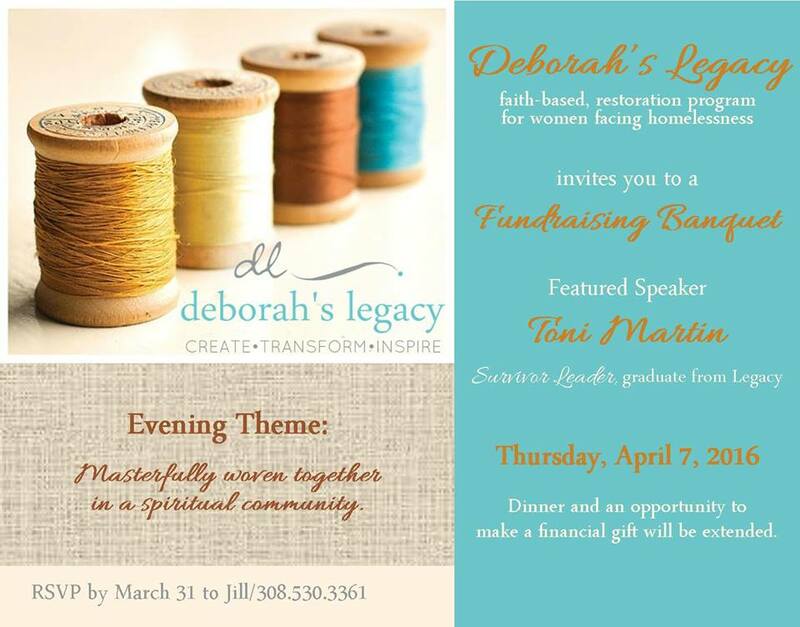 The vision of Legacy is that of women growing individually and collectively while living in community. Deborah's Legacy is a community of communities. The women who come here represent a large radius of communities. The door is open to all. The common thread is brokenness. The prevailing need is to be loved. How far would the ripple effect reach when even one life receives healing? I don't know the full weight of it, but Jesus talked about leaving the 99 to bring back the one. The scarlet thread that runs through their story lines, parallel the ones that run through all of our lives. Soul places that need deeper healing. Hearts that need bending toward greater and greater obedience which will result in greater freedom. I showed up to be part of helping others and ended up being the one receiving some healing. It's so upside-down to anything I can explain. What I know is that God is moving. People loving people can change the trajectory of a life, which has the potential to impact the lives of their families, neighborhoods, towns and the generations to come. The thing being offered to women at Legacy House is the thing that Jesus offers everyone one of us. The free gift that He bought for us at great price. The Weavers Beam makes all things new. The Lord is using the pieces, the cords, the strain and all the stretching, to weave gilded threads into our story. And He calls us all to join in the work. 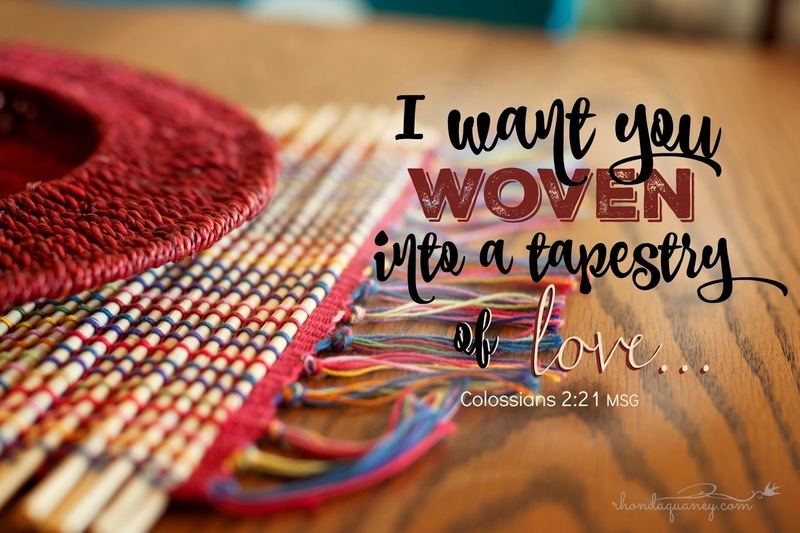 He calls us to be His tapestry of love. Personal message me if you are interested in attending the banquet. RSVP by Thursday, March 31. Rising against the steel grey-blue sky, snow geese flap and wave as they beat their wings to a silent calling that propels them on their epic journey. These winged messengers that travel between heaven and earth, herald the news of a change in season. I've heard it's true. That birds know more than humans about seasons. Or maybe they simply respond to what they know. They don't hold a meeting, appoint a committee or consult groundhogs. 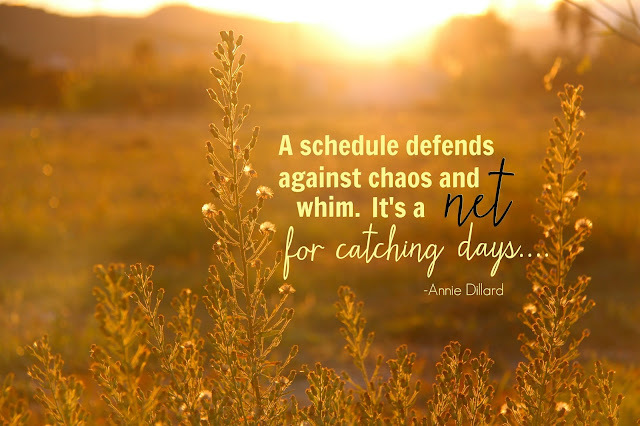 They don't go by the calendar or the time change or make decisions based on their emotions. They just instinctively respond by setting their bodies into motion. The winter has been gentle in my part of the world. Green tufts of grass poke through on the slopes that get afternoon sun. In this month of typically frozen temperatures, there have been many spring-like days that feel like summer. The kind of warm air that feels good to bones that are passed the half-century mark. Walking along the shore of the lake, flecks of light shimmer off the water and the air is sweet. Fishermen bob and sway in their little boats like a dance with design and sequence. These same men huddled in their fishing huts on thin ice pitched dangerously close to the edge of open water just two weeks ago. They were reluctant to shift with the seasons. As much as I love this season of the days growing light, a season that will soon turn to lush grass and flowering bushes of summer, I also embrace the warmth of autumn with its rich tones and the great harvest. I even love the deep chill of winter and the hot chocolate and good books that come with it. And then spring pushes back the veil as it brings the sweet hope of new beginnings and life begins again. There are other seasons I'm more reluctant to embrace. Six years ago I was shaken awake, into a season of cancer. It was an uninvited season. One where you want to wake up from the bad dream and wrap yourself tight in a patchwork quilt, huddle on the couch with a hot cup of tea to insulate your heart from the bitterness of it. It was a day just like today. When the hard edge of winter was slipping away and the time change was about to make every morning brighter. The truth of this season has become more apparent now, than when the word, "cancer" arrived. Now ––looking back–– I see it better for what it was. There were people that I met in those waiting rooms ––many of them are now gone. But those days I got to hear some of their story and the season that had landed them there. Holding their hand in silence was a bit like sharing communion, at least, a communion of tears. I met doctors and nurses and people on the elevator. Most of them I'll never see again, and they gave me the gift of themselves. That hard season didn't leave before it accomplished some much-needed pruning in my life, allowing new life to push forward. It has taught me about the in-between times. The times that don't seem to go away. The kind of seasons that leave little room to make up your mind about the next move because you are only able to do the next move that has been planned for you. Those seasons of unique pressures that shatter the thin walls of hollow souls. Maybe seasons like you've experienced? Measured between infertility and conception and delivery. The space between pain and comfort. The time that lapses between the persistent calling on your life and the realization of that dream unfolding. The eternity between the diagnosis and the healing, the strained relationship and the restoration, the financial crisis and the breakthrough, the broken heart and the blessing or the crisis and the miracle. We all know that some of these seasons don't have a happy-ever-after, the guy-gets-the-girl kind of giddy end. These seasons test what we are made of and Who we live for. The same God who made the moon to mark the seasons, and tells the sun when to go down.... is the God who knows the number of our days and hears prayers said from sincere hearts. In the most difficult, unwanted seasons I've found a few things that usher peace into the crazy. 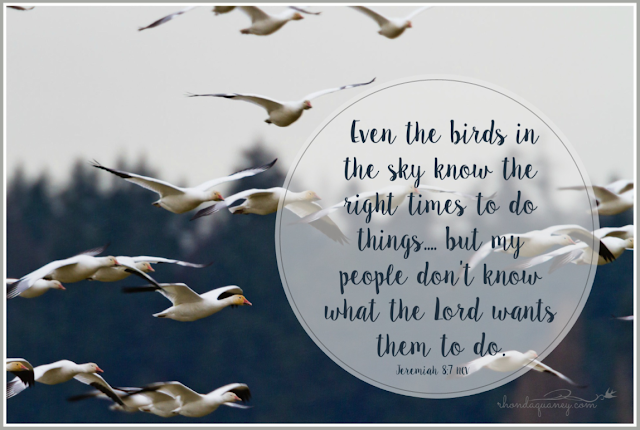 No matter how hopeless a day or moment may feel, the God of Hope.... will fill us with joy and peace as we trust Him, by the power of the Holy Spirit. The secret ––if there is a secret–– is to be thankful. I've had to speak it out loud. To put a voice to my own doubt, for the enemy of my soul to hear and anyone else who may be listening; "....I will praise You, God." "Yes, I will praise You!" "Nothing is too big for You." 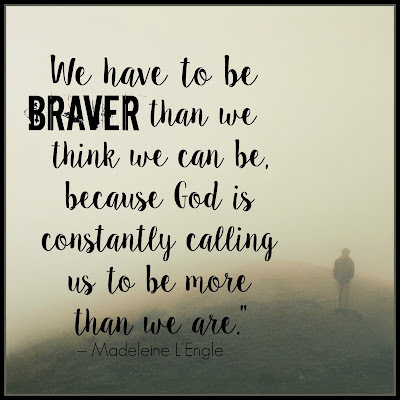 "And even if I never see an answer to this hard season, I will praise You...."
Something powerful happens when we praise God when things are hard. 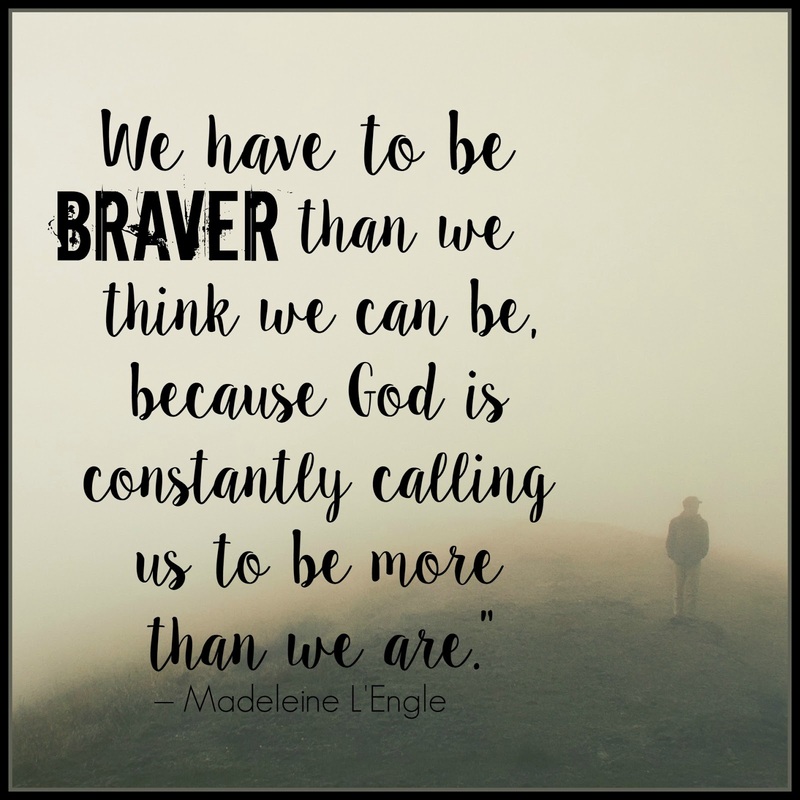 I began to learn this praising Him thing... in seasons when my children shattered my heart. I praised the Lord for opening the doors to my oncologist and the medical staff in another state in my journey through breast cancer. I was overwhelmed by seeing God's hand in the final days and hours of my mom's life and was moved to praise Him through tears after seeing her exhale that last breath. Certainly the praise wasn't because of the pain that was being lived out, but because He is God and these seasons will not have the last word in eternity. We have to be ready in season and out of season. I have to preach the Word to myself and live it before others ––even when I don't feel like it. Especially when I don't feel like it. These seasons demand their own time frame. While they can be harsh like winter and produce new growth like spring, the transition of their arriving and departure isn't marked out by weather patterns or hours of sunlight, but by the hand of God. He has us all on an epic journey. Our part is to trust Him in it all. Day after day we live. Sometimes it's easy to think nothing has changed ––until we look back and realize–– we have changed and so, therefore, everything has changed.